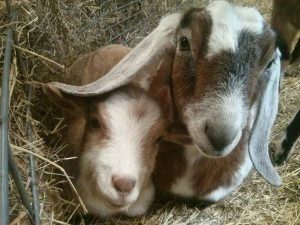 Skanda’s goats, mini-donkeys, ducks, chickens, and horses are incredibly loving and gentle, and at Skanda they have a loving home where they can relax, live free from fear and emerge into who they really are. Families are welcome to enter the goat paddock, where you can play with the goats and feed them apple branches, their favorite treats! 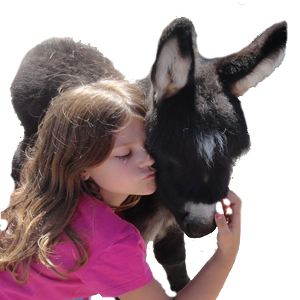 Snuggle with our miniature donkeys, who love to be brushed and groomed. The land of Skanda is beautiful and nurturing — take a hay ride through our hay field, past the hops grown by IPN hops or take a nature walk through our orchards and woods, or relax on a bench to watch the animals play. We will have farm fresh vegetables and vegan snacks available.